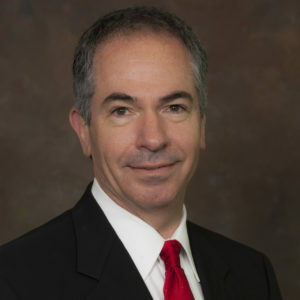 Dr. Michael P. McCarthy graduated from LSU in 1983 and earned his M.D. in 1987 from the LSU School of Medicine in Shreveport. Temporarily leaving Louisiana, he performed his residency in Internal Medicine through the University of Texas Medical Branch in Galveston, completing that program in 1990. Afterwards, he performed a second residency in Pulmonary Medicine at the same location, completing that program in 1992, at which time he joined The Baton Rouge Clinic. A specialist in Pulmonology Medicine, Critical Care, and Sleep Medicine, Dr. Michael P. McCarthy also is a member of the Board of Directors of the Baton Rouge Clinic. He is board certified in Internal Medicine and Pulmonary Medicine with licensure in the state of Louisiana. He is member of the American College of Physicians and the American College of Chest Physicians, in which he holds a Fellowship, and is a member of the Louisiana State Medical Society. Dr. McCarthy is a native of Opelousas, Louisiana but has made Baton Rouge his home.